This is the first of a two-part article on teaching about caste in urban schools. The authors’ interactions with teachers from different schools over the years have indicated a woeful non-engagement, especially in urban schools, with a phenomenon that is as pervasive as it is influential in the lives of millions across the sub-continent. Caste has an overarching and overpowering presence in the lives of millions of people in India. Caste disparities continue to exist in 21st century India, in education, income, social mobility, livelihoods, and segregation in residential spaces1,2. The question of caste is also central to politics in India. All these facts indicate pervasive awareness of caste identity in Indian society. We can be certain, given this situation, that children in most schools across the country are aware of their caste identities and that these identities play a major role in their daily life. Caste affiliations can consciously or otherwise, determine playmates and friends. Caste can also end up in discrimination by fellow students, teachers and officials3, and thus potentially impact the future lives of these children. 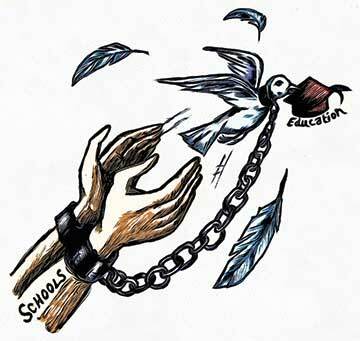 It is obvious that children should be spared discriminatory barriers in every education enterprise in the country. In addition to this, there is a case for education to play a critical role in bringing to fore the impact of caste on the lives of people, in sharing information, experience, and encouraging discussions around caste. It is an understatement to say that caste is frequently side-lined and unacknowledged in discussing Indian society in schools. While the National Curriculum Framework (2005) argues for the role of ‘critical pedagogy’ in engaging with caste4, the NCERT textbooks that relegate gender, caste, and religion to a few scattered chapters5,6,7, fall back on narrative and description that allow for a limited exploration given various school constraints such as time, material, ideas and trained teacher resources. Such approaches will invariably lead to a one-dimensional and impersonal understanding of the role of caste in society, or may even reinforce traditional outlooks that children may gather from family and elsewhere. We have not come across research that has studied the impact of these textbooks and actual classroom pedagogy on children’s outlook to caste. In our limited background research, it appears that other than an attempt in Madhya Pradesh by Ekalavya8, there haven’t been many other attempts to discuss caste in schools in a sustained manner, for the children to get a fairly deep understanding that might translate to responses in adult life. However, the point of this article isn’t an exhaustive critique of the textbook approach to dealing with caste. The point is this question confronts us as teachers – is it possible at all to bring in ourselves and children a deep empathy to the condition of fellow human beings? How can we do this, in this case with caste, in a manner that does not make it information-oriented and distant? The explosive growth in ‘premium’ schools that focus on academic achievement alone, without discussing social and environmental realities, may result in large numbers of privileged children considering the caste system as an anachronism and not current reality. But given that the school is an extension of society, especially in cases where there is an apparent disconnect as it is in many urban schools, we should endeavour to bring a critical awareness of the inequities present in society as part of our curricular goals. Centre for Learning (CFL), is a small school near Bangalore where we are teachers. We believe that the attempt at CFL is to create a community space for dialogue and understanding each other in living together, an educational space that is not dependent on fear, reward, or punishment for learning, and an environment that fosters connecting with society with critical questions, rather than unconditional acceptance. In our school, based on our observations and interactions with children, it appears that they do not have a daily awareness and experience of caste. The children and staff at CFL are from middle and upper middle class, middle and upper caste backgrounds. So it isn’t entirely surprising since caste is not a yardstick for daily social transactions in the community or in many of their families. But we are neighbours in a village, where caste continues to have an iron-grip on people’s lives. Are we to ignore this reality of our neighbours even if we aren’t affected directly as individuals and as a community? This question, as well as questions that children encounter when they interact with the village in different ways – on walks, in joint project classes with the village school children, in studying the village as part of social science projects – made us critically reflect on the right manner to introduce caste to children and young people at CFL. In the next part of this article, we present a short case study of such an attempt at “caste education” in CFL for senior students in the eleventh and twelfth standards (ages 16-18). Desai, S. and Dubey, A. (2012). “Caste in 21st Century India: Competing Narratives” Econ. Pol. Wkly. 46(11): 40-49. Gupta, D. (2000). Interrogating Caste. Penguin Books. New Delhi. India Untouched (2007). Documentary by Stanley Kurup. In the first few minutes of the documentary, children in a village are interviewed on their caste experiences. Accessed on 15.11.2016 at https://www.youtube.com/watch?v=lgDGmYdhZvU. National Curriculum Framework (2005). Retrieved on 26.10.2016 at http://www.ncert.nic.in/rightside/links/pdf/framework/english/nf2005.pdf. National Council for Education, Research and Training (2008). Social Justice and the Marginalized. Chapters 7 & 8. In Social and Political Life – III: Textbook in Social Science for Class VIII. NCERT, New Delhi. National Council for Education, Research and Training (2008). Women, Caste and Reform. Chapter 9. In Our Pasts-11: Textbook in Social Science for Class VIII. NCERT, New Delhi. National Council for Education, Research and Training (2007). Gender, Religion and Caste. Chapter 4. In Democratic Politics – II: Textbook in Political Science for Class X. NCERT, New Delhi. Batra, P. (Ed.). (2010). Social Science Learning in Schools: Perspectives and Challenges. Sage Publications, New Delhi. pp. 1-304. “I had no idea that I could be, had to be, so heartless and mean to someone who is my friend in school” – Pragnya, 16, on having to play the role of an upper caste woman who had to refuse help to a dalit couple in a role play situation. The couple starve as a consequence of her action and she finds it emotionally difficult to accept this consequence. She also found it difficult that her gender was frightfully oppressed in the role play. “Don’t people dance because they like to dance, and not because of their caste? I mean, how can dance be related to caste, it’s so ‘un-caste’ like!” – Daya, 16, on facing the fact that modern-day bharatanatyam had its origins in Sadir, the temple dancing traditions of the Devadasi community, which bound women from particular castes to temples, often resulting in their exploitation. “I just can’t believe that those are real” – Shika, 17, emotionally upset on seeing photographs of conservancy workers in sewage drains. “How could this have gone on for so long?” – Varghese, 18, flabbergasted at the persistence of the caste system over millennia. “You would imagine such places to have educated, sensible people who can look beyond caste, what is wrong with them?” – Anahita, 17, outraged at the reports of caste-related discrimination and deaths in well-known Indian institutions of higher learning. Many students repeatedly reported being dazed by the scale of the impact of caste on people’s lives in India. Many students also reported that the course had made them look at Indian society in a fundamentally different manner. Some students did mention that the course did leave them quite hopeless, but others said that the possibility of legal recourse and constitutional protection, examples of individuals looking beyond caste, and their own resolve to not be part of the system of oppression, gave them hope. Thejaswi Shivanand is a part of Centre for Learning, an alternative school located near Bangalore. He teaches biology, statistics and chemistry to senior students and is closely involved in the school’s nature education and library programmes. He can be reached at dumaketu@gmail.com. 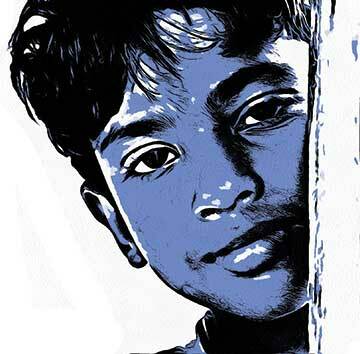 Rohan D’Souza is a part of Centre for Learning, an alternative school located near Bangalore. He teaches History, Environmental Management for senior students, social studies for the middle school, and is closely involved in the sports programme and working on the land including the school vegetable garden. He can be reached at virtuallyme@gmail.com.